The model 525 is one of the most recent additions to Jeff Rowland’s amplifier lineup. It is the brand’s most affordable stereo power amp using the new Pascal class D technology, so I was eagerly awaiting the opportunity to test it. 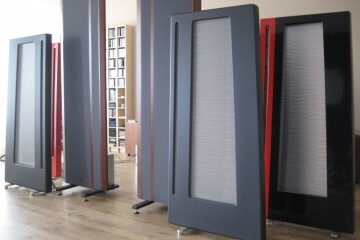 At 5700 euro it is the second most affordable amplifier in the current JRDG range. The 525 offers the same power rating as the model 201 monos that it replaced, yet it occupies roughly only half the real estate. 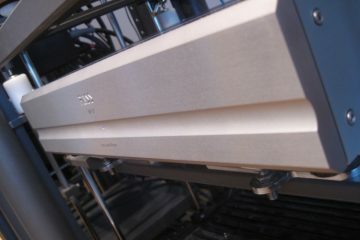 The 525 is a stereo amp, but it can be set so function as a more powerful mono amp in bridge mode. I used it in stereo mode only. 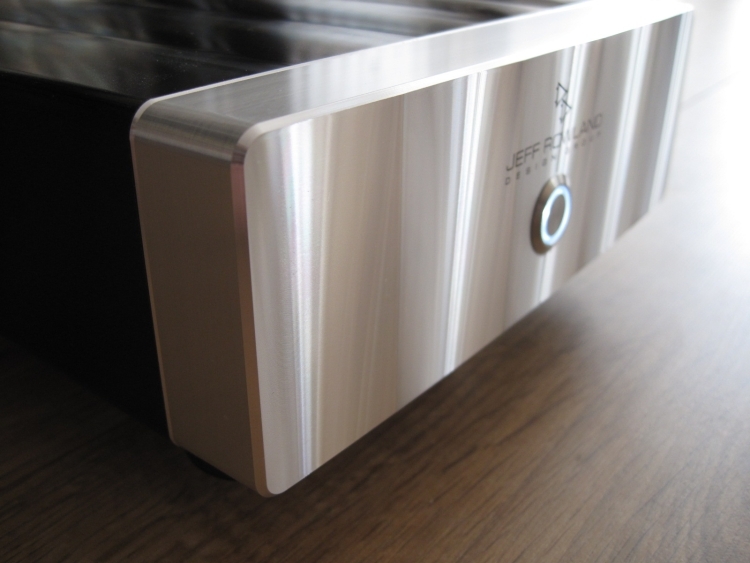 I really like the trend toward smaller-sized equipment in generic ,and the new smaller form factors for both the class D amps as well as for the other components in the Jeff Rowland range in particular. Why waste space if not needed? Comfortingly, the 525 is still built according to the high standards that are set for the entire line of JRDG products: milled from a solid block of aircraft grade 6061-T6 aluminum and of course with the beautifully milled line effect on its slightly curved front. It weighs in at 6.6KGs and feels extremely solid. 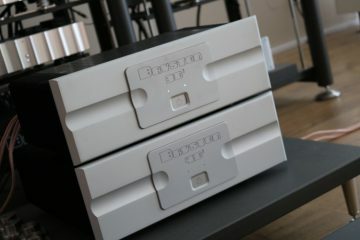 My experience with bridging amps is limited to the Bryston 7BST amps, and in that case bridging resulted in a more forward, tighter, somewhat more technical sound. I don’t know if the 525 in bridge mode behaves in a similar way, but the thing is: who needs more power? At 250 watts into 8 ohms and double that into 4 ohms, the 525 drives my power hungry Apogee Divas with verve and utter control, and doesn’t break a sweat even at ear-shattering volume levels. Anyway, one can always try a second 525 later. But let me start at the beginning. 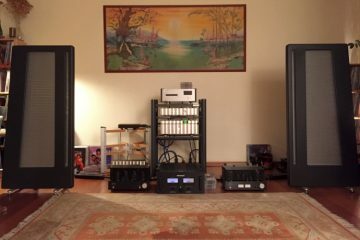 The 525 was mostly listened to in my secondary system, driven by a Wadia 121 DAC connected to the 525 via a Transparent Ultra XL interlink, and the 525 driving refurbished Apogee Duetta Signature speakers using van den Hul Skyline Hybrid speaker cable. Together these components form a neat, relatively affordable, but very high quality system. The 525 was initially connected via a Belden power cable, which incidentally I also use with excellent results in the main setup. The 525 needs little to no warm up: I noticed no change in character, neither initial effects from starting cold to playing for a few hours, nor long term effects after it had been switched on for several weeks and playing a lot during that time. Right from the get-go, the 525 sounds fast and coherent and very lively. At this stage I wondered what influence powercables would have on the 525. One might be led to believe that for power amplifiers in general, and switching amplifiers in particular, powercables won’t matter, but they do make a difference. The Fusion Audio Enchanter made the 525 sound more fluid, refined and airy while the Harmonic Technology Pro ACII cable made the 525 sound warmer and fuller, but at the expense of speed and dynamic expression. Personally I generally prefer a more airy presentation, and so I would choose the Enchanter as the better option. Naturally this is very much a matter of taste, and one should never rule out system dependencies. There are many powercable alternatives out there and if anything, this comparison just goes to show that the 525 too, can be tuned to sound just the way you like it to. The 525 is very dynamic and lively, without ever sounding forced or agressive. 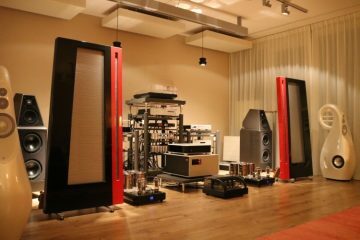 It is highly powerful, but not in a braggish way, rather this is evident from its grip on the foils and drivers of all speakers that I listened to. There’s always this “concrete” quality to the sound. 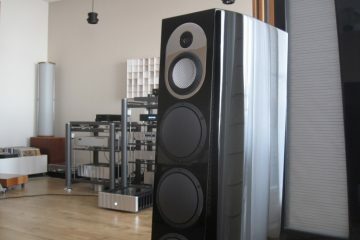 Another very striking aspect of the 525’s sound is its bass. Although it has power and control in spades, it isn’t the Krell or Bryston kind of bass, which can be heavy-handed and/or slow. Rather it is fast and articulate, but also forceful and tuneful and with excellent drive, never slow, but also not hurried or shortened in sustain. The sense of control extends to the midrange and treble, the midrange being open and clear and highly communicative, and the treble articulate and precise, although less resolving and airy than I’m used to from more upscale Rowland amps, but always smooth and never aggressive. The 525’s forebears are the model 201 monos. These amps, while Class D, sound more like the classic Rowland amps, with very fluid and airy treble and an overall gentle and unforced presentation. 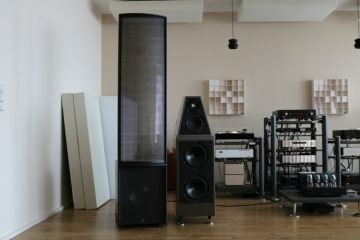 The 525 is different: it sounds bolder, more solid and acoustically more convincing than the model 201 monos, or the stereo model 102 for that matter. It is also very clean and articulate and has a very natural timbre. There’s just no trace of artifice to be found. 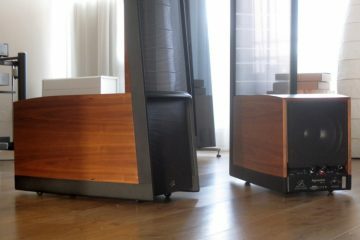 While the 525 does not offer the harmonic richness, superb soundstage layering or the refined finesse that is possible with the dearer amps in the Jeff Rowland roduct palette, these improvements come at high cost, as the next amplifier up in the current range carries a 4x price tag, and at that level it is only expected that performance is further elevated. 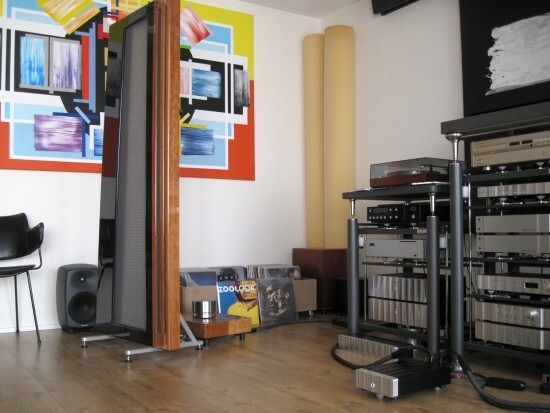 During this review I also had a pair of von Schweikert Unifield 1 speakers available, so in order to give the ribbons some rest and to further investigate the 525’s overall character, I decided to connect these compact dynamic speakers as well. Now I am very much a full range magnetostatic kind of guy, and no doubt this has spoiled me to a large extent for “normal” cabinet speakers. And sure enough, switching to the Unifields took me some time to adjust. But after I had gotten used to the tonal difference, I noticed that the Unifields are indeed showing the advantages of their coaxial principle by sounding very coherent, even more so than the Dueattas. Also very impressive while using the 525 was their sharp focus and soundstage depth. It was interesting to find that the little Rowland seemed to bring no character of its own, instead simply driving the speakers well, bringing out their individual strengths in the process. 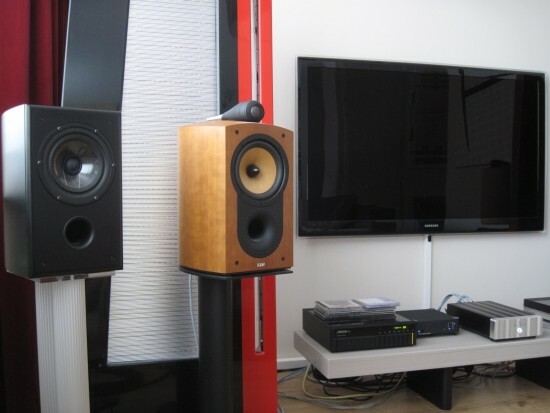 While I was listening to the von Schweikerts it dawned on me that I had another pair of dynamic speakers in the house, and so I moved the B&W Nautilus 805 speakers from their surround speaker function in the main system, to prime position in the second system. I positioned them into the exact same position as the Unifields and played the same tracks. Again I had to get used to a cabinet sound, this time with a different, fuller tonality, and while the B&W’s certainly impose a more “wooden” tonality to the music than either the von Schweikerts or Apogees, I must admit after listening to it for a few tracks, that there definitely is a certain charm to this. It was quickly evident that the N805’s needed a different position than the Unifields to sound best: closer together and with more toe-in. Set up this way, the N805’s had a more open sound with airier treble than the Unifields, but I was most impressed with their superbly room-filling soundstage. At this stage I remembered that this was why I chose these speakers in the first place, a long time ago. The N805’s have the capability to throw an wider-than-the-room-aura of sound that rivals Apogees or Magnepans. Alas, the N805’s did not quite have the Unifield’s neutral coherence nor their razor-sharp focus. Again it dawned on me that the 525 seemingly had no role in all this, it simply effortlessly and neutrally driving the speakers. This is one transparent amp, that’s for sure! 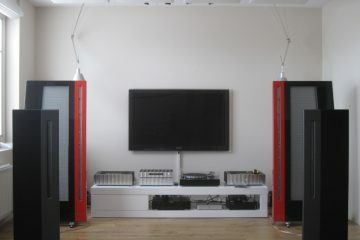 For my own reference, I also connected the 525 to the big Apogee Diva Magnetostatics in my main setup. It remains a neat party trick: such a diminutive unit driving the Diva Monsters. It does this so effortlessly that it is just ridiculous. To further challenge the 525 I raised the volume much higher than my usual levels, only to find that I could not find the 525’s limit: incredibly the Divas actually arrived at their limit before the 525 did! The model 525 sounds highly differentiated, dynamic and expressive, fast and coherent, and it has power and control in spades: it has no problem whatsoever to drive even power hungry Apogee Divas to extreme volume levels. Its sound is neither warm nor cool, neither sweet nor dry. It is, for lack of a fancier word, neutral. The 525’s timbre is spot on, and the amp is as musically expressive as the music that is played through it. While I personally prefer a gentler and more fluid presentation, this amp’s transparency means that you’ll hear more from the connected components and cables than from the amp itself. The combination is what makes the match though. While older Rowland amps tend to sound warmer and more relaxed, the 525’s much more neutral and somewhat unforgiving character would be bedded in better when combined with a smooth sounding preamp. Likewise I found that it sounds most musical with rounder and more mellow sounding components. Thanks for a great website. I like the design and the reviews are very comprehensive. 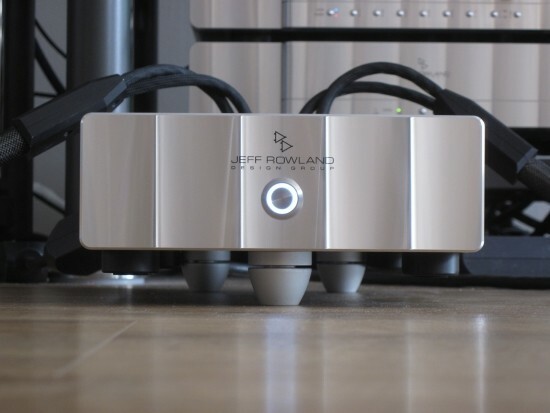 I am considering purchasing a Jeff Rowland 625 S2 but unfortunately the distributor in the UK concentrates on the lower end products and therefore there are not any demonstrators available. I have been offered the 525 to try but I know you have mixed feelings about this amp and I was wondering is there any point? Or would the 525 give me some idea of the sound I might expect from the 625. I know you have not actually tested the 625 but I believe the 725 might be a similar sound? What do you think? Also another product which I cannot directly audition is the Aeris. Since your review have you found a better dac? I’m also looking at the PS Audio Direct Stream (cheaper) and the Mola Mola. Any comments would be gratefully received. Hi Robert, Although I have not compared them side by side, my experience with the 525 and 725s indicate that the 525 is more like the ICE power designs that preceeded it than the more cost-no-object 625 and 725. The 625v2 I am told sounds a lot like the 725. That said the 625 and 725s are also more modern sounding than typical classic JRDG gear. 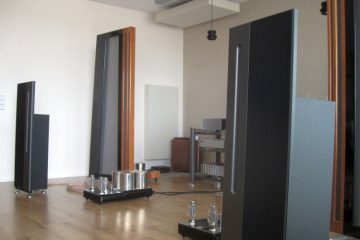 They have a similarly transparent and articulate sound as the ICE power/Pascal based units but with more refinement and a organic “flow” to the sound. Although I find my model sixes to sound a little more gentle they are also less powerful and if asked what amps would replace the sixes if I shoulde change them I would not know of a better model than the 725’s. The Aeris really is great. 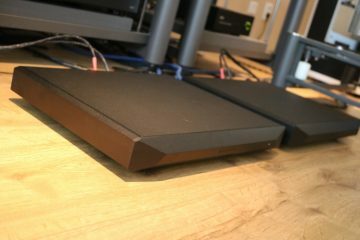 It bettered many DACs that I heard before but ultimately it was challenged on the aspect of treble refinement, where some other DACs are better. It was the Mosaic DAC that made this quite clear, but ultimately did not have the powerful delivery that my speakers need. 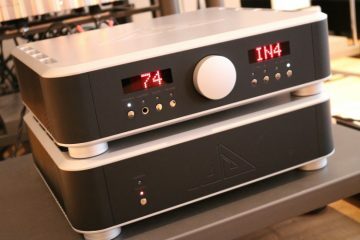 There are precious few DACs that have a similar combination as the Aeris in terms of powerful sound with big balls as well as excellent fluidity and smoothness. 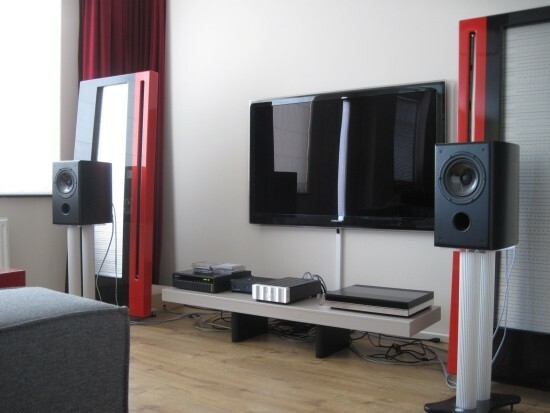 In my current situation the Wadia 521 was found to be the best match so far for my taste, but I am still wondering whether the Aeris might also be a good match, especially now that I have the JRDG PSU that can also feed it.